In early March, Fr. Mamdouh AbuSada, Director of the School of Joy, spent two weeks visiting the UK. The School of Joy, in Beit Sahour, is dedicated to helping young people aged 6-23 who have learning difficulties or have been abandoned by their families. With the help of FHL’s Westminster Diocesan Coordinator, Fr. John Deehan, Fr Mamdouh addressed nine audiences in schools and churches across the diocese. 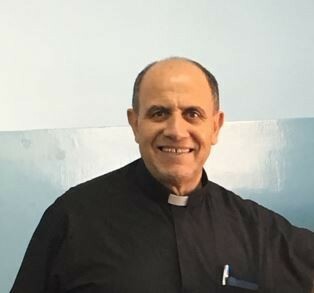 On each occasion, he shared the difficulties faced by Christians living in the West Bank and the challenging situations of the students in his School. During his first weekend, he spoke at SS Michael and Martin in Hounslow. The total attendance, over five Masses, was 3,600 and the resulting donation was over £6,000.